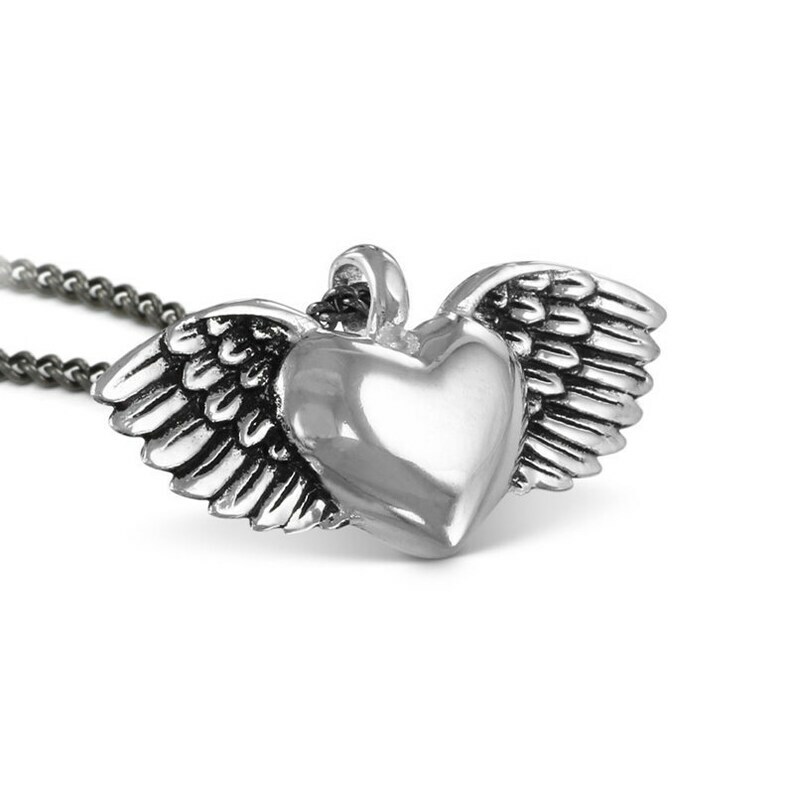 My Flying Heart necklace is a beauty. A little bit Gothic with a large helping of Romance. More than a passing nod to the old school tattoos of the 50's and no small amount of Rock and Roll thrown in for good measure. The heart measures just under 3/4" high (not including the jump ring) by 1 1/4" across its wings. It comes on your choice of chain or leather - all leather necklaces are adjustable and come with our signature Lost Apostle clasp (shown in the last photo). Completely hand carved and cast in the finest White Bronze. The piece is then hand finished and silver plated. As always, gorgeous work and super friendly service. Recommended! As always, a lovely piece of jewelry. LA easily altered my order on request at the last minute and cheerfully refunded the difference even though I told them I'd understand if they didn't. Their work is fantastic and they are very pleasant to communicate with. Highly recommended!